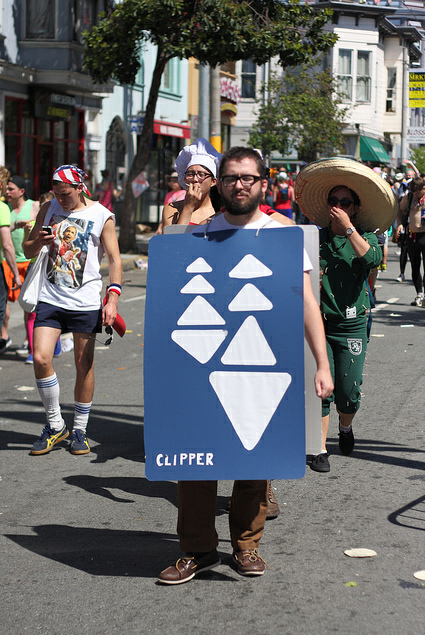 a few years, you probably have a section in your wardrobe dedicated to costumed events, like Bay to Breakers this Sunday. If you are still looking for inspiration, look no further than our public transit system. 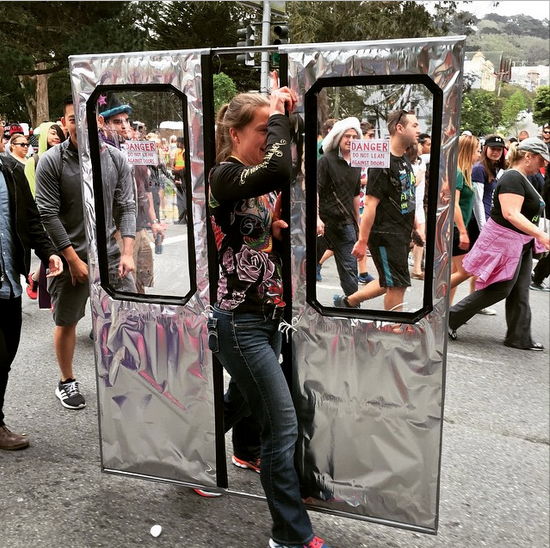 Our current favorite is the young woman dressed up as “that painfully embarrassing Muni door moment,” above. 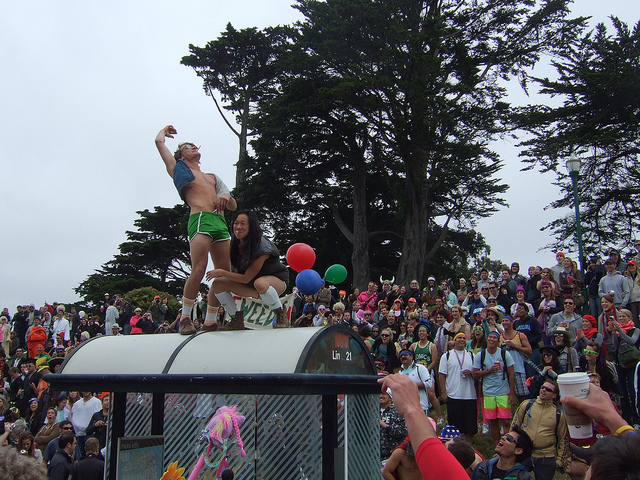 And despite drunken partiers, Bay to Breakers is also a quintessential San Francisco event that can change your experience of living here. In this week’s Muni Diaries podcast, storyteller (and Elbo Room sound man) Gabriel Armstrong shares his story of what happened when he carried his broken down B2B vehicle home on Muni, and scaring little kids on the way. Listen to his tale on iTunes and Google. Want to show off your cool costume or spotted an especially creative B2B outfit on its way to the race? Tag us on Facebook, Instagram, or Twitter. 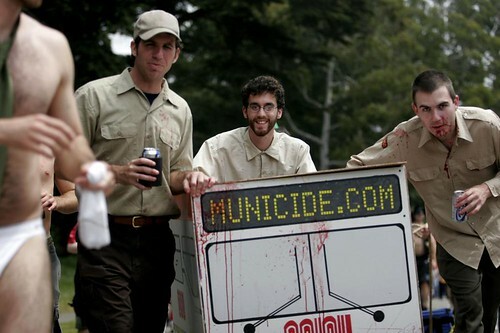 Our email inbox muni.diaries.sf@gmail.com is always open!